Also, do check their answers for this tag, it’s a really interesting one, I’ve been stalking reading everyone’s answers on it! Find a book on your shelves or ereader with a blue cover. What made you want to pick up this book? 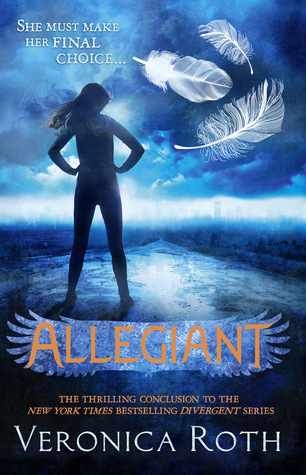 Allegiant, by Veronica Roth caught my eye. Honestly, I was not really going to read this series at all – I had watched the movie and found it good, but didn’t see how it would translate to a good book. But then a friend recommended it and offered to lend it to me and I thought – why not? In the end, I enjoyed book #1 a lot, #2 and #3 a little less, but still a quite good read! More recently, To All the Boys I’ve Loved Before. I am not into romance books in general, and normally don’t find the romance story too believable or with much happening except for the whole swooning and sighing and suffering (accidental alliteration, but I’m proud of it). I am aware that my prejudice isn’t justified at all – which is the reason why I picked up this book. This year I am trying to read more books I’d normally not pick, and that included this one! I ended up finding it good , and it certainly lifted my mood and was hard to put down! 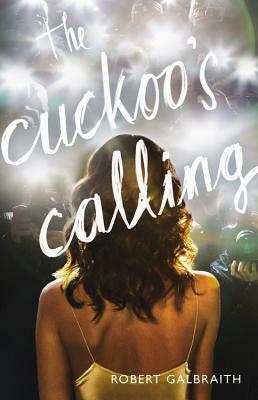 The Cuckoo’s Calling, by Robert Galbraith! I think how I discovered this book is quite obvious, but for those who might not know: it’s a crime thriller by J. K. Rowling, which got popular once the information leaked that she was the author writing under a pen name. I actually enjoyed it (I gave it 3 stars in Goodreads), although I didn’t love it and haven’t read anything from the Cormoran Strike series after that… maybe I will! Also, I heard it will become a series… did you guys hear about that too? 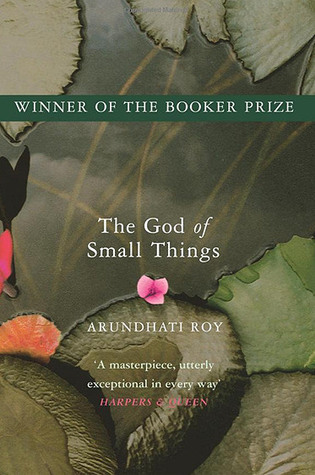 The God of Small Things, by Arundhati Roy. My boyfriend gave me this book right after we met around five years ago (funnily enough, on the very same day I had decided to give him Poison Study). Well, let’s just say that back then I abhorred anything heart-wrenching and couldn’t understand why he would give me such a book just to make me cry and feel awful (I’m laughing at the memory of this… ). I took a long time to read this, and decided to give it 3 stars (I’m so generous). Since then, my tastes have changed a lot and I love a good literary work that plays your feelings like a piano. I need to re-read this, certainly my rating will change once I do. Pick a book that you discovered through YouTube/book blogs. Did it live up to the hype? I would never have picked up When Dimple Met Rishi if it wasn’t for book blogs and Youtube! As said before, I hardly ever read romances, but I kept seeing this one everywhere and everyone seemed to love it! The hype is so real with this one. And it lived up to my expectations for sure, this book is so cute it will literally make you happy. Such a perfect Summer read! Find a book on your shelves or ereader with a one-word title. What drew you to this book? Middlesex, by Jeffrey Eugenides. Fabulous read. What made me pick it up was its very unique plot and the reviews, which pointed to expect an epic, literary work with a LGBT+ main character. I’m really into epics at the moment, so I read this book last year and oh my god, it was awesome. If you love historical epics and are looking for something to expand your LGBT+ shelf, this is for you as well! 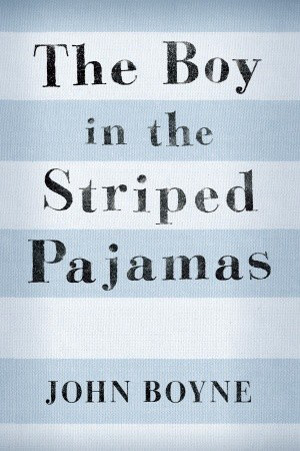 The Boy in the Striped Pajamas, by John Boyne. I had heard about this book through the fact that it had recently been turned into a movie back then, and I was considering watching it, so I decided to read the book first. As I said above, I hated cry-worthy books for a really long time in my life (please don’t judge me), but I really liked this book (4 stars). I guess because it was told through a child’s perspective, the story lost a little of its raw pain and acquired a level of innocence that was beautiful. It was still a read full of tears, but somehow the child narrator softened the blow. Think of your all-time favorite book(s). When did you read these and why did you pick them up in the first place? This is a very hard question, so I will choose two to talk about. I’ve mentioned those before, so I hope I’m not too repetitive. 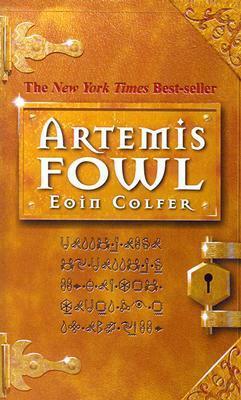 Artemis Fowl was my favorite book through childhood, and is among my most re-read books ever. I picked it up when I was 10 because it was being so hyped up back then (I don’t remember how I first heard about it, honestly), so when it came out it was freaking golden and the books were put on top of each other to form a treasure chest. A treasure chest! Made of golden books! I was so excited. I love this book so much I can’t even. Americanah is the last novel Chimamanda published so far (she’s got some essay books out, though!). I saw her on the TED Talk she gave about the danger of stereotypes (or, as she beautifully calls it, single stories), and I fell in love with the way she speaks. Such a beautiful choice of words, so well-thought and going from funny to touching in a second, I simply had to know what her writing was like. And oh my god, she’s fantastic. I’m so excited to do this one! Thank you for the tag! Eek! Thanks for the tag! I’ve been wanting to do this one but figured I should get to the ones I’ve been tagged in first – now I have a reason! 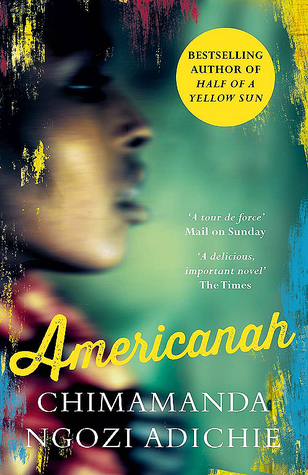 I’ve had Americanah on my TBR for the longest time! I hope I can pick it up soon. Everyone that’s read it just raves about it! Hahaha good! I look forward to your answers! I felt the exact same way about the Divergent series! I’ve been stalking everyone’s answers on this one too, hehe. Yess, this tag is really cool, I love finding out what make people choose a book to read! Hahhaha ever since I started the blog, my TBR has been more out of control than ever. Even so, very rewarding! Yes, exactly! I keep wondering how come I only created a blog a few months ago – I’ve met so many awesome and like-minded people, and gotten such great book recommendations. All the time these past years missing out on this! I feel the exact same way about the romance genre, so I’m interested to try out the one that surprised you. My pleasure! I look forward to your answers! So much fun reading your answers. Didn´t like Divergent series at all, or well I like the first book okey but never then second and the third one I never even tried reading. Just heard bad things about the movies so I´m scared to see them. Yes I’ve heard the Cormoran Strike series will be aired… I like the idea.. might like it more to watch than to read.. I’ve only read 2 but the second one put me off of the series a bit.. all the characters in the novel were so unlikable and sour, I didn’t even care who did it ;-). I still have book 3 waiting for me, maybe I should read it and it might be better though.. Nice tag, lovely to see your choices! Thank you! I am so curious about the series, honestly, despite not loving the first book. I haven’t heard much about the follow-up books, what a pity the #2 for you was not as good as the #1!